This week The Creative Issue had the delight in talking about creative journeys, self-taught art and opening up a business, with Cork & Chromaâ€™s owner and Creative Director, Hillary Wall. After recentlyÂ opening up her new Surry Hills studio in Sydney, Hillary takes us back to the basics with how Cork & Chroma first began. The Creative Issue: Tell us a little bit about yourself and your passion for creating. Hillary Wall:Â Iâ€™m a self taught artist who has been drawn to the creative experience since a very young age. Creative expression felt natural to me as a child and was the language that I understood. I was taken by the experience of making something from nothing in your own unique way. It felt that that time nearly stopped when I was â€˜being creativeâ€™, and I could fall into my own world. I now currently live with my husband BJ and our dog Trudy in Sydney operating the Surry Hills studio. These days outside of C&C stuff Iâ€™m playing with clay, practicing ukulele and walking Trudy through Sydney. 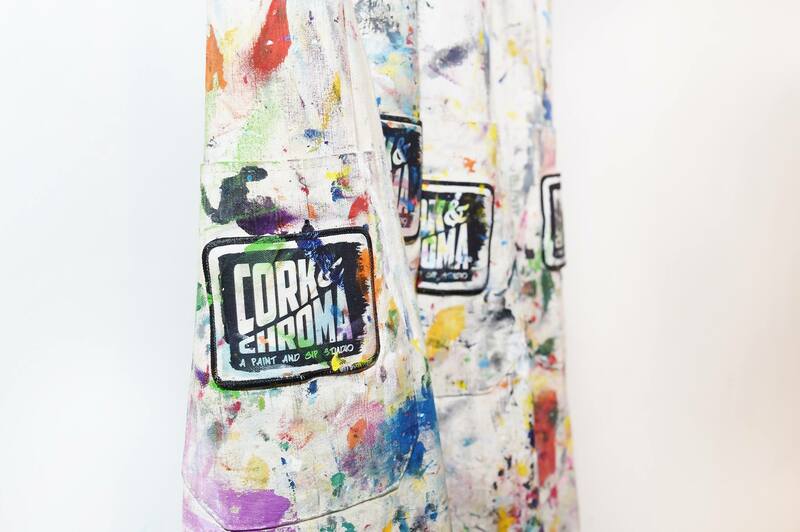 TCI: What was the inspiration behind Cork & Chroma? HW: Cork & Chroma was inspired by a painting hobby I picked up in my first year at Uni. One day I found myself passing through the University art supply store so I picked up some canvases, paints, and brushes. With only the faintest idea of what to do with them, I started experimenting; using art as a form of therapy to cheer me up and reconnect with myself. C&C is what I wished had existed for me when I first picked up those brushes. 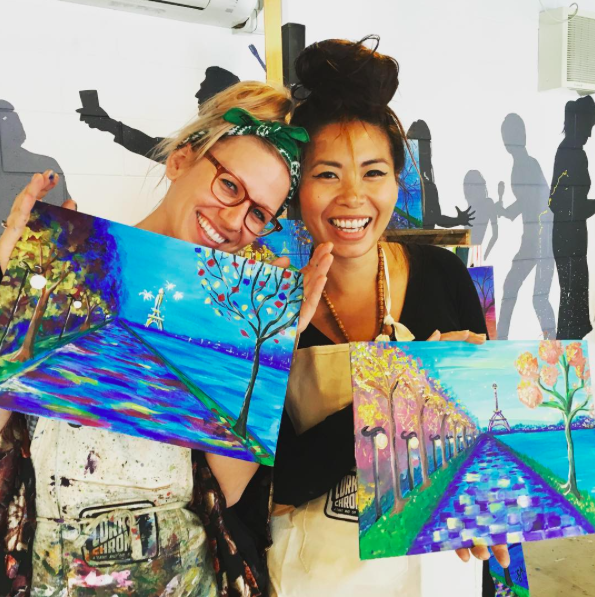 Occasionally my two best friends and I would have a night where weâ€™d share bottles of wine and paint for fun in our apartments, those moments are what stuck with me. To me, those nights were the basis for the C&C experience. TCI: Describe a session at Cork & Chroma. 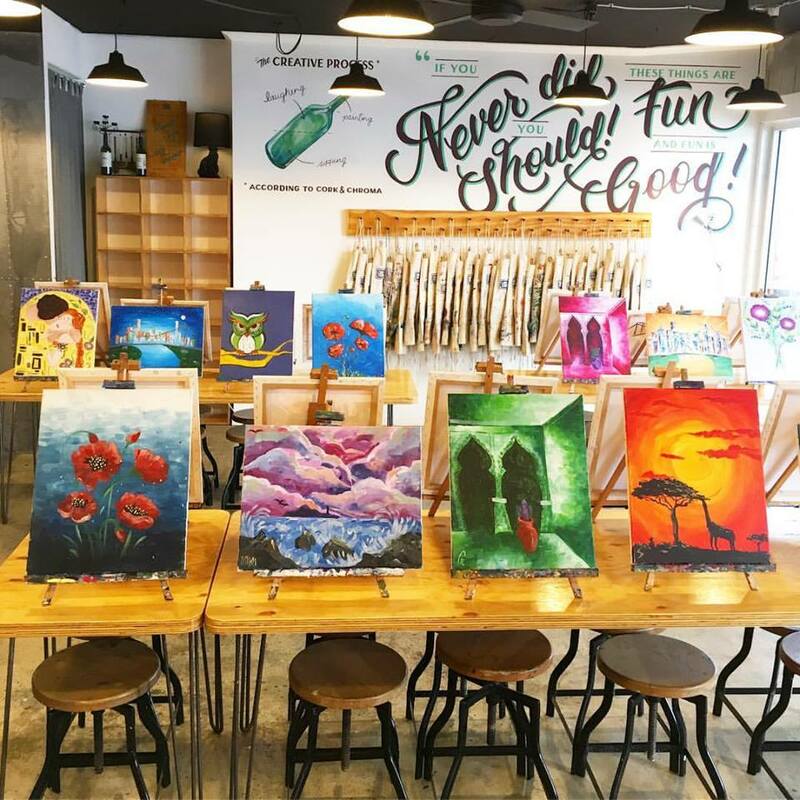 HW:Â When you arrive with your BYO wine, youâ€™re seated at a table and after you get your paints pumped and wine poured, we start! Weâ€™ll kick it off with a cheers of the glasses, the artist gives the first step for the painting, and in between we play music. Then, step by step, we work on the painting until itâ€™s finished! Anyone over the age of 18 can attend, no matter if youâ€™re a professional artist or have never picked up a brush, our nights are inclusive and good honest fun for everyone. TCI:Â What were some of the challenges and achievements you have experienced with Cork & Chroma? HW:Â Iâ€™ve certainly had my fair share of challenges, and still do. As a first time business owner, I was tasked with making decisions in areas that I had little experience in. Having to change roles and learn new skills quickly benefited me in the long run because I was able to learn about my business from the inside out, but it was frustrating at times. As far as achievements, I felt that a great achievement when BJ joined the team last year. When we started C&C, it was our goal to be able to work together, and to meet that goal has been a dream. TCI: How does creativity influence who you are, and how your business operates? HW:Â Creativity certainly influences how our business operates, because we arenâ€™t set that something has to be a certain way.Â In business and in life, BJ and I like to operate from a â€˜how could we?â€™, instead of â€˜we cannot.â€™ viewpoint. And when we keep our minds open like that, it leads us down a creative path of problem solving or brainstorming. TCI: Whatâ€™s your favourite painting? And lastly, the most important question of all: Whatâ€™s your favourite wine? HW:Â My favourite painting changes constantly! Right now however, I am loving one of our pieces called Moroccan Blue; itâ€™s all about brush strokes and contrast. My favourite wine is Cabernet Sauvignon. I grew a taste for that varietal while living near Napa Valley in California. That being said, I donâ€™t know if Iâ€™ve met too many glasses of red wine that I couldnâ€™t make friends with! For more information, and to book classes with Cork & Chroma, visit theirÂ Website,Â InstagramÂ andÂ Â FacebookÂ page.